Estoril: Portugal's Joao Sousa scored a popular victory on Saturday, beating Greek teenager Stefanos Tsitsipas 6-4, 1-6, 7-6 (7/4) to reach the final of the Estoril Open. He is the first local since Federico Gil in 2010 to make the home final. 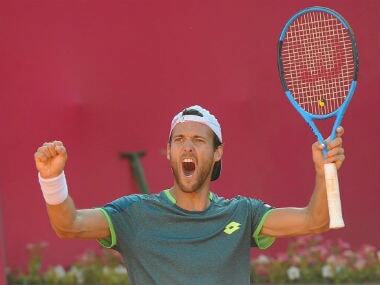 "It was a fantastic match for me, it's a dream to be in a final at home," Sousa said. "He's been playing well on the clay." "I'm pleased with my level, the first set was one of the best of my career. He raised his game in the second and I was not able to keep up. "But I think I won the tie-breaker in the third due to more experience in those situations. It's great to now have a chance for the title." 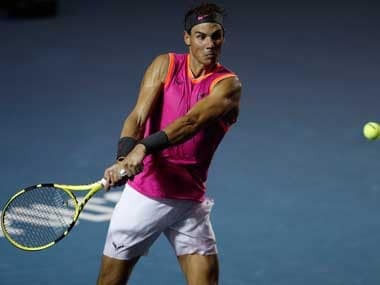 The 44th-ranked Tsitsipas was beaten as he competed in his 10th match in 13 days after reaching the Barcelona final a week ago against Rafael Nadal. "I played okay, but I am tired," he said. "But Joao played better than me. I did feel dominant at some points in the second set. "I thought I had things under control, but he found some holes in my game and took advantage. He played in a good way. "I feel fine on clay heading to Madrid (next week)... I'm not too excited, but not too sad either. "I'll try and give my best." Sousa will be aiming for his first trophy since winning at Valencia in 2015 as he plays American Frances Tiafoe, who upset second-seeded holder Pablo Carreno Busta 6-2, 6-3 in their semi-final. Sousa and Tiafoe have never played. 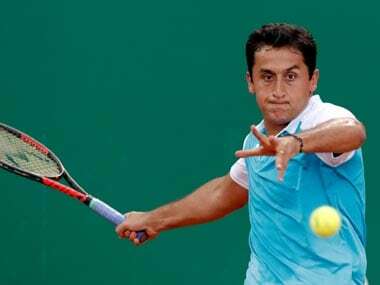 The 20-year-old American, the world number 64, won his first career title in February in Delray Beach, Florida. The 29-year-old Sousa, ranked 68th, began the season 3-6 but has turned his fortunes around, compiling a 14-4 record since March. Sousa will be playing his 10th career final – he also won at Kuala Lumpur in 2013. Tsitsipas made a strong recovery after losing the tight opening set against national number one Sousa, with the 19-year-old Greek sweeping the second set 6-1. 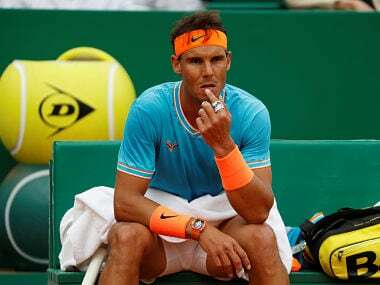 In the third, the pair stayed level until the tie-breaker, but Tsitsipas could not repeat his heroics of the quarter-finals here, when he rallied from 0-3 down in a third-set decider to beat Roberto Carballes Baena. The inspired Sousa took a 5-0 lead and closed it out after his opponent saved a pair of match points before an error wide which ended the contest after just over two hours.